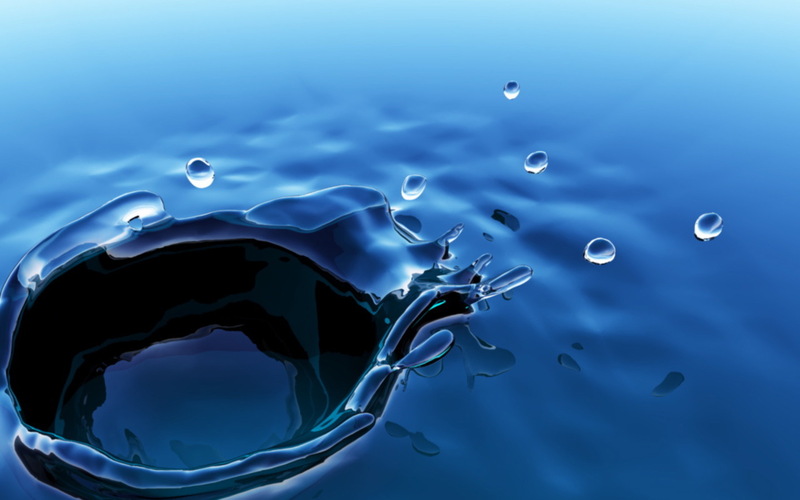 Aquazone Hydrotherapy - Ozone Medicare - Your complete ozone therapy solution. Hydrotherapy simply means therapy within water. The therapeutic use of water has been used since early civilizations such as the Egyptians, Greeks, and Chinese to treat disease and injury. In today s modern world hydrotherapy is used widely in hospitals throughout the world to assist in the rehabilitation of spinal injury victims and patients recovering from long term illnesses. Professional sports teams use hydrotherapy to speed up the recovery rate of injured players by as much as 50%. Ozone therapy has been researched for many years and is now an accepted therapy used in many countries as a mainstream treatment. Ozone will kill viruses and bacteria on contact. In fact 3000 times faster than chlorine, as well as reoxygenating the body. In your home Aquao3zone Elite is placed straight into your domestic bath with no plumbing or installation required, saving you thousands of Rands in home improvement costs. You can then enjoy unlimited hours of pleasure in the comfort of your own hydrospa. Chronic problems such as arthritis, muscle pains, back pain, rheumatism, poor circulation, and general pain can all be relieved. Aquao3zone Elite can also relieve general stress and tension, ease digestive problems, stimulate the immune system and reduce inflammation. Bathing in the Aquao3zone Elite hydrobath is easy, convenient and relaxing. The stresses and strains of modern living are soothed away within minutes. If you desire more energy, less stress and reduced aches and pains, then Aquao3zone Elite is the perfect way to stay young and healthy. 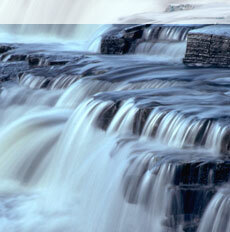 Our fast living hectic pace of life takes its toll; irritability, nervousness, illness and insomnia are all too common. Negativity, lack of enthusiasm and low energy can set in. All the more reason to be able to enjoy a true oasis of pleasure and relaxation at home. Simply lie back and relax into the beautiful massages before bedtime or refuel your energy reserves before enjoying the evening’s activities. Back pain is one of the crosses that most of us have to bear. Practically every other person will suffer at some time with pain and immobility. Over time this causes fatigue and low spirits which take away hopes for the future. All of this can be completely changed with your regular hydrobath sessions, because it has been proven that the more powerful massages ease muscular tensions that can help to release some trapped nerves, improve mobility and give welcome pain relief. 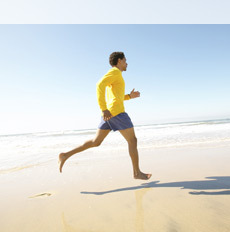 Are you conscious of diet, calorie intake, more exercise etc – it’s far easier said than done. The fast pace of modern living makes it constantly difficult to put into practice. Well don’t give up, try again, this time using Aquao3zone Elite to assist with removing harmful toxic waste and work those tummy muscles, thighs and buttocks by positioning your body over the powerful Aquao3zone Elite Jets, feel the muscles vibrate and the fatty deposits will soon disappear. Soon you will see the difference in the mirror. The Aquao3zone Elite is excellent for the relief of muscular tension either caused by disability or physical exertion. The powerful relaxation massages and loosens muscles by lowering excessive muscle tone. Then it brings the warmth that soothes. This relieves the strain on the joints and promotes blood circulation while invigorating and detoxifying. Aching muscles can now be a thing of the past. In recent scientific literature there has been a growing awareness and acceptance that the mind can and does affect the state of the physical body. Doctors understand mental stress can cause physical stress and mental health can create physical health . Mental stress and pain can create a distortion in our bodies by the over-tightening of our muscles and we often fail to release these points of tension even after the emotional or mental cause has been resolved. This interferes with the efficient working of the body systems, causing stiffness in the joints, tense, sore muscles or even malfunction of internal organs. Hydrotherapy offers an excellent way in which to regain and maintain a relaxed, mobile and painless body – a body in a state of ease and balance that can significantly help you to deal with your often over-stressed pace of life and still maintain good health. Stress is a state during which the body performs its functions normally, in order to survive in response to circumstances. The medical lectures on Fight or Flight are well known but it is during these occasions that remarkable things happen to us. In an emergency for instance, time seems to slow down and pain cannot be felt as the body becomes flooded with Adrenalin. This allows us to be more efficient. We may be shaking and our hearts may be pounding but we get on with the things that we have to do, no matter how dramatic and then say afterwards I don t know how I did it . On the other hand the sheer pace of life places upon us intolerable burdens and we now find ourselves having to deal with all kinds of stresses and these are definitely not good for us such as Mental Stress, Environmental Stress, Emotional Stress and Performance Stress. In dealing with this there are many things to consider but if we can t change our lifestyles, then we must go back to nature and natural therapies like Yoga, Fitness training, Swimming and treatments at home, such as Hydrotherapy. These therapies will often release endorphins all over our bodies that make us feel good and neutralise the adrenalin build up of the day. If we take the bath later in the evening it will aid sleep and this helps to better prepare us for the rigours of the next day. All of this may sound too simple but time has proven that these kinds of principles are effective and so we shouldn t ignore them. If we do, we ignore them at our peril. Pain relief can be achieved with the hydrobath in 4 ways:. Massage encourages fluids to return properly to the circulation system, effectively reducing swellings (Oedema). This reduces the pressure that bears down on the joint and greatly reduces the pain. Pain is also reduced by Interference Therapy. During the massage, thousands of bubbles are bombarding our bodies and this creates a huge sensation that the body pleasantly experiences, but there are not enough gateways to allow all of these messages through, blocking some of the pain messages in the process. The sympathetic nervous system is suppressed by massage and immersion and this serves to decrease the perception of pain. You feel less pain when warm and relaxed. Massage helps to release Endorphins, which are the body s natural painkillers or opiates. If you hurt yourself you will automatically rub the area bringing into play the release of some Endorphins and the possibility of confusing the pain messages. For all of these reasons many customers have experienced pain relief whenever they have taken their hydrobath. The aim of the hydrobath is to relieve pain and improve mobility. Some muscles are meant to be at work all of the time, holding you upright, and some muscles are brought in to play when you want to perform a physical task such as carrying something or simply going for a walk. The problem is that muscles waste if you don t use them and you become weaker and will lose the support that they give in holding your joints together. Regular Hydrotherapy keeps muscles in good shape and makes sure that nutrients are constantly supplied to them to stop them wasting. In turn this allows you to use your muscles and this keeps them in good shape and free from aches and pains. 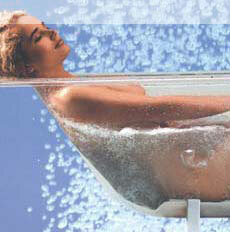 The warmth and massage of the hydrobath enlarges the capillaries and this reduces the back pressure on your heart. Your pulse rate is hardly affected but the stroke volume that your heart can now pump, can increase by as much as 50%. Add to this the fact that the circulation is now assisted by massage and we have the improvement that we are looking for. It is a normal function for our muscles to quietly relax and then contract in order to assist our circulation against gravity. We are not aware of this but it is an example of how gentle massage can and does assist circulation. 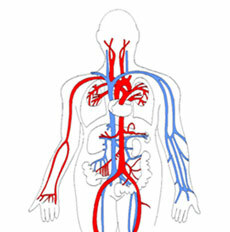 Good circulation also means good lymph drainage and detox means more health and energy. The complete all over body massage produced in a hydrobath is also very relaxing and as the tension leaves, you will naturally breathe more deeply. This is good as it will oxygenate your circulation and good oxygenated circulation is the basis of a long and healthy life. Your lymphatic system does not have a pump in the same way that your blood circulation has. Instead it relies on movement which is why exercise is so important. All of the toxins found in the air and food and drink need to be regularly cleansed from your body. If you don t feel well, and are always having colds and viruses, or are lacking in energy and vitality, you need to detoxify and what s more, if your toxin levels are too high your body will retain fluid in order to dilute the problem. Good detox means a good and strong immune system. If this is not the case, you will always be the one going down with whatever is around at the time because you will not have a strong enough immune system to be able to cope. The Hydrobath has a greater thermic effect than a normal bath and so by heat, massage and by inducing perspiration, it facilitates a detox process through improved circulation. The improvement in circulation creates movement in our whole system and this helps to re-open routes of elimination. The best and most comfortable route out for toxicity is via the liver and the bowels. If this is not accomplished properly each day, the body will try via another route of elimination, i.e. the skin (eczema), the lungs (asthma) or the internal cells and joints (arthritis). Hot water produces a response that stimulates the immune system, causing white cells to migrate from cell walls and into your tissues. These cells eliminate waste products and clear up toxins in the normal way. Natural cleansing is natural health! Our blood pressure and pulse rate start to drop. Our circulation is improved in hands and feet, making them warmer. 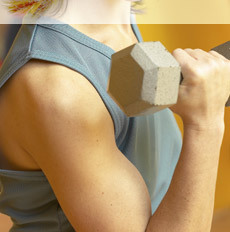 Our muscles relax and become more receptive to passive exercise. Fibrous tissue becomes more pliable and responsive to stretching, encouraging the release of lactic acid and other toxins from the system. We experience a temporary decrease in severity of our aches and pains. Our immune system is improved. Tension, emotional and physical trauma are noticeably reduced. Pain relief is longer lasting and there is a greater sense of well being. There is a heightened tolerance to disease and depression. Our skin is clearer and glows with health. Muscle tone and mobility have definitely improved. Our spine provides us with three basic functions. It provides support to keep us upright. It gives us the mobility to perform complex tasks. It acts as a casing to protect the valuable and fragile spinal cord which is part of our central nervous system. 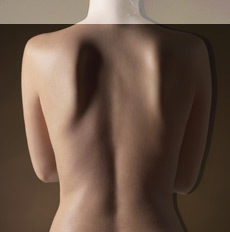 As usual most back problems stem from incorrect posture, strain or continued overuse. It is quite easy to injure the spine because of its complexity. The Cervical Region, which has 7 sections. Your neck area. The Thoracic Region, which has 12 sections. Your chest area. The Lumber Region, which has 5 sections. Your lower back area. Flexibility is the key, otherwise the discs between your vertebrae become thinner and your spinal bones will sit closer together. This process can entrap a nerve like the Sciatic nerve which will create much pain and discomfort. A Hydrobath, utilising the spinal massage, will work the muscles and the discs in order to keep them healthy. The discs will begin to recover their proper shape and will then push the spinal bones apart, leaving room for the nerves to branch out from the mother cord and do their work without causing any more discomfort. There is an Ozone facility in the Aquao3zone Elite, which is generated by a corona discharge unit. This creates a fine mist of Ozone which can be used, in the bath water to sterilise and to speed up the healing of sores, cuts and grazes. 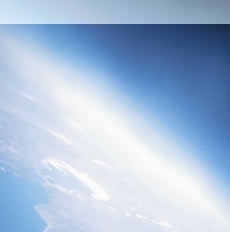 Oxygen is a healer and because Ozone is a form of activated Oxygen it performs even more efficiently. If for instance you have a cut and you apply a plaster that doesn t breathe, it will take much longer to heal than a plaster that breathes. What is known about Oxygen therapy is not controversial, it s extremely exciting. Clinical Ozone is widely practised in Germany and in many other countries in Europe. Ozone therapy has also a large and enthusiastic following in America. A conference held in Washington in 1983 and attended by Doctors from all over the world agreed this principle We are an oxygen-based life form. We need a rich supply of oxygen to maintain every vital function in our bodies. It seems that the increased amount of pollution, illness and injury plus poor nutrition deprives us of this vital life force. Simply put, we are quickly becoming oxygen starved and it is this lack of oxygen that is responsible for many illnesses of today. Doctor Otto Warnburg, twice Nobel Laureate, was able to prove that Cancer cannot grow in a high oxygen environment. His research revealed that when a cell is denied 60% of its normal requirement of Oxygen, it switches to a fermentation mechanism. It loses its higher function and regresses back to a lower function. That means it begins to grow wildly in order to try to survive. Research has shown that even cancer growths contract when the oxygen saturation is sufficiently increased in the fluids surrounding them. The greater the oxygen content in your body, the more inhospitable you are to viruses, parasites and harmful bacteria. This explains why you can suffer complaints such as fungus and yeast infections in the extremities such as toes where the blood supply is not so good. We use oxygen to create energy. Clinical trials have suggested that we can get 50% of our energy from the air that we breathe if we learn to breathe properly. Ozone therapy has a long history and thousands of case studies and that is precisely why we have this health improvement function on the machine.